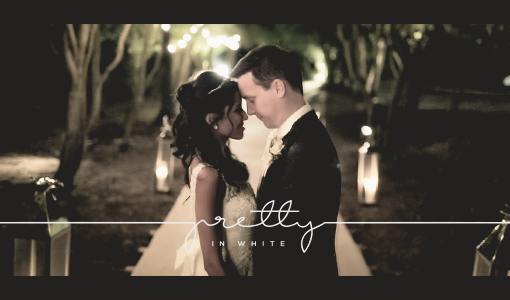 Producing bespoke wedding films since 2010, Pretty in White is a dedicated team of cinematographers, based in London, England. We work hard and smile often. Our wedding films have a “story first” approach, capturing all the romance, laughter, passion, heartfelt words and sincere emotions of the day. No gimmicks, no special effects, no cheese. Just real stories full of love. Creative director Rob Dunlop worked as an illustrator after graduating from art school, then transitioned into fine art, portraiture and photography. Rob has been filming weddings since 2010, and loves to tell compelling stories from a creative perspective, using light, composition and sophisticated editing to bring beauty to every scene. He’s also a sucker for a good romantic comedy. Cinematographer Kamil Kurylonek is a broadcast media graduate and an expert in all aspects of filmmaking, from cinematography to editing and motion graphics. Kamil has worked at Pretty in White since 2012, and is always happy to go the extra mile for the perfect shot, ensuring every project has the same high production values. He also loves coffee, apple pie, cheesecake… and more coffee. If you’d like your own unique story told, then please use the “contact” link in the menu to get in touch, or phone 07958 946221. © Pretty in White: Cinematic Wedding Films in London, Surrey, UK | Anerley, London SE20 8NQ - UK | Tel 07958 946 221|ProPhoto theme by NetRivet, Inc.